Toronto – is one of the major cities in Canada. Its one of the most populous cities and boasts of multicultural city-dynamics. Vibrant and colorful in terms of people, food and streets – Toronto is a must visit when in Canada. For visiting most parts of the city, I recommend the Toronto City Pass that offers discounts on most of the tourist attractions. I got a similar (a wee bit cheaper deal) with Sight Seeing Toronto which offered the discounts on major tourist spots that I wished to visit. Here is my suggested itinerary for Toronto. My pick-up spot was Dundas Square. Depending on where you are staying you can either use Toronto transit or LRT. I bought a 48 hour ticket to explore Toronto. CN Tower is an iconic symbol of the city of Toronto. Its name “CN” originally referred to Canadian National, the railway company that built the tower. Currently its known as Canadian National Tower. The tower was completed in 1976, becoming the world’s tallest free-standing structure and world’s tallest tower at the time. Currently, its world’s number 7th tallest tower. If you like adventure sports, CN Tower offers Edge Walk. Edge Walk offers adventure walk OUTSIDE – around the circumference of the roof of the CN Tower! The castle has stories from the family of Henry Pallet. The castle has many rooms, gardens, cellar and stable to view. Hockey Hall of Fame is located on Yonge Street in Toronto. Its dedicated to the history of ice hockey, it is a museum and a hall of fame. It holds exhibits about players, teams, National Hockey League (NHL) records, memorabilia and NHL trophies, including the Stanley Cup. Adult entry fee is $18 CAD. I looked around the arena, but dint go inside the stadium or the museum. Located in core downtown Toronto, Harbourfront neighbourhood is iconic to this city. This neighbourhood is located on Lake Ontario and provides stunning views of the CN Tower and the downtown skyscrapers. 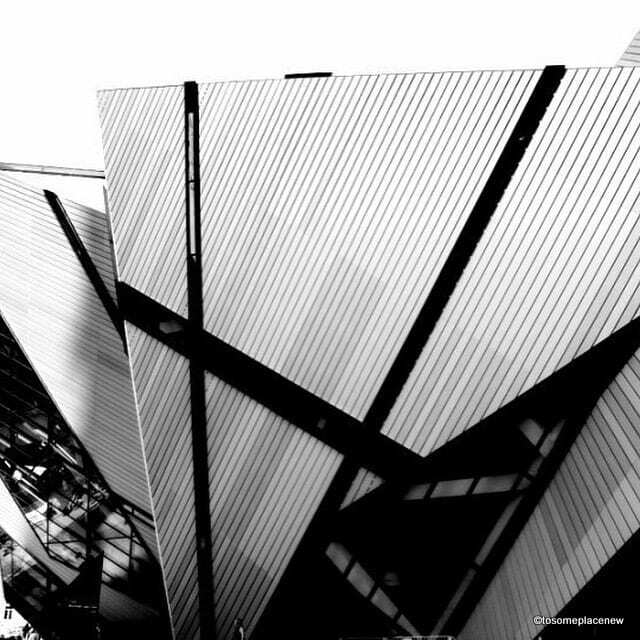 Royal Ontario Museum is a museum of art, world culture and natural history in Toronto, Canada. Purchase ROM souvenirs from its gift shop. Another museum/gallery close to ROM is Arts Gallery of Ontario. Its a massive gallery with about 45,000 square metres, making it one of the largest galleries in North America. Yonge-Dundas Square is located within the Downtown Yonge Business Area. Its a space/square wherein public performances and other events are hosted on a regular basis. There are many cafe’s, restaurants and shopping areas close by. The square has seating areas and fountains and gives quite a metropolitan-feel in the evenings! We had dinner at a nearby Hard-Rock Cafe and spent the rest of the evening in the Yonge-Dundas area. DAY 3 ~MY SHOPPING DATE! I love to shop. And Toronto is great for shopping. Yorkdale Mall, Eaton Centre, Scarborough Town Centre, Fairview Mall are some of the malls I hopped around in my last few days here. Eaton Centre and Scarborough Town Centre are my favorites. Eaton Centre is located in Downtown and Scarborough Town Centre is located in the Scarborough area. Both the malls are easily connected by Toronto LRT. I shopped and enjoyed the day to the fullest. There are many places in and around Toronto, that are very easily accessible and worth visiting. Bruce Peninsula (4 hrs), 1000 Islands (3.75 hrs), Niagara Falls (2 hrs), Ottawa (5 hrs), Montreal (6 hrs) – are some of the cities/areas that are worth visiting in your trip to Toronto. I took a day trip to the world famous Niagara Falls and visited the falls and spent an entire day over there. More on the Niagara Fall trip will be up on another blog post. There are many tour services available from Toronto to Niagara Falls and undertaking this trip with be worthwhile. Many also cross the border at Niagara Falls to head to the US. The Centreville Amusement Park is a park located on Centre Island, which is a part of the Toronto Islands. This place is a must visit during summer season with over 30 rides, picnic areas, etc. We spent an entire day here,enjoying the Toronto sun. We took a ferry ride to the Centre Island from Queen’s Quay West. Get your beach wear on, as you can experience the blue waters here. This is my favourite part. I love exploring, walking around downtown/core areas of major cities. Toronto didnt disappoint me. Skyscrapers, malls, lights, side-cafes, busy-people everywhere. As always, with every city – enjoy some peaceful time alone or just relaxing with a beer or a cup of coffee. Dont forget the food. Toronto has cuisines of all kinds. I was missing Indian food on my visit to Toronto, but the place didnt let me down. Gerard Street is full of fantastic Indian/Pakistani restaurants 🙂 a must visit if you like Indian food.